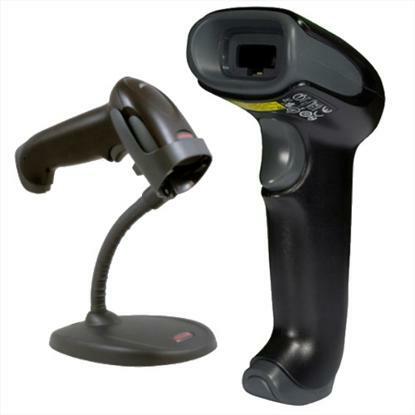 ORBIT 7120 is Honeywell's first Point-of Sale barcode scanner to utilize holographic technology to precisely focus the scanner's laser and therefore increase performance and efficiency. ORBIT 7120 is perfect for retail applications where counter space is at a premium and its unique contoured design allows it to be picked up to scan large, bulky items. 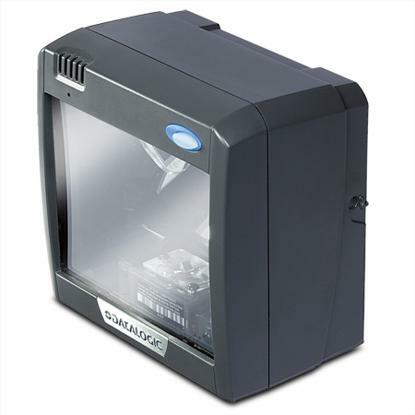 Honeywell’s SolarisTM 7820 vertical mini-slot scanner increases productivity with an unmatched feature set that aggressively scans high-density codes and fits easily into any existing enclosure found in small-item, high-volume retail environments. Designed to increase system output and lower the total cost of ownership, the 7820 reduces on-site service costs and downtime in convenience, drug, specialty, liquor, and grocery store environments. With an extended depth of field and advanced decoding software, cashiers can scan all standard bar codes on the first pass with minimal concern for orientation or print quality. Multiple on-board interfaces make the 7820 compatible with most POS systems, minimizing the efforts associated with device management. The 7820 further simplifies integration by drawing power directly from the host’s 12-volt USB or serial port. Unlike other comparable devices, the 7820 includes a troubleshooting visual diagnostic indicator. For investment protection, every scanner comes standard with an integrated RF EAS antenna and the capability to perform interlock with either Checkpoint or Sensormatic. The 7820 sets itself apart from the field with a multifunctional RS232 auxiliary port that provides a single point of communication for either a hand-held scanner or an external scale. 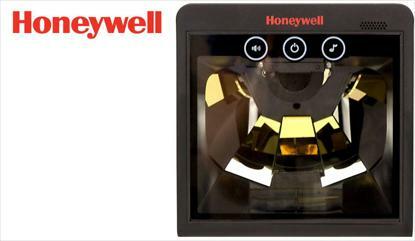 Honeywell’s 7820 comes with one of two flex-pole stands for countertop or wall-mounted functions. For harsh checkout environments, the 7820 provides an optional reinforced protective window. 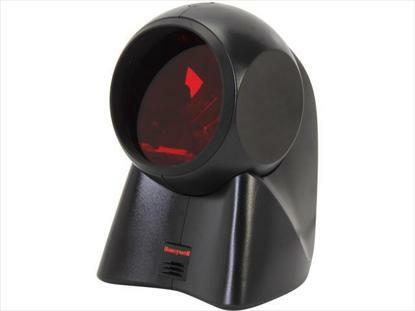 This 1D barcode laser scanner with pistol grip enables reliable scanning. The OPR-3201 weighs only 80 grams, which is extremely light for a gun type scanner. This solid scanner withstands drops up to 1.5 meter onto concrete. The scanning parts of the OPR-3201 are positioned near the central core of the grip to stabilize the hand movement while scanning. Together with the large grip, this makes it easier and more comfortable to target the barcodes. Plug & scan The auto-trigger feature of the OPR-3201 and the complementing stand initiates automatic scanning and allows the user to operate instantly and hands free. Available in USB, RS232 and Keyboard Wedge connectivity options, the OPR3201 can be easily integrated into any host computer system as a plug and play device. The OPR-2001 features a speed of 100 scans per second. This high performance laser scanner provides a fast and accurate scan, even when barcodes are printed with low contrast. Easy scanning The integrated auto trigger mode together with the dedicated stand enables hands-free operation. Available in black and white, the OPR-2001 uses very little counter space and blends well with other office furniture. This ultra-lightweight, yet solid scanner withstands drops up to 1.5 meter onto concrete. Plug & play Available in USB, RS232 and Keyboard Wedge connectivity options, the OPR-2001 can easily be integrated into any host computer system as a plug and play device. The Magellan VS2200 scanner is specifically designed for retailers that require high performance in a compact, vertical form factor. Tailored for very small counter retail checkout environments with medium to high volume point-of-sale (POS) transactions, the Magellan VS2200 scanner is particularly effective in drug stores, convenience stores, smaller to medium sized grocery stores, DIY stores, and specialty stores. With category leading scanning performance for superior ergonomics and throughput, the VS2200 demonstrates the Magellan brand renowned quality and reliability. Flash memory allows for easy software upgrades that help extend the life of the retailer’s investment. In addition, an auxiliary RS-232 port can be utilized in a variety of ways, including adding a handheld scanner, programming and configuring the scanner, or accessing the scanners label data output. For applications requiring electronic article surveillance (EAS), the VS2200 can be equipped with Checkpoint EAS and can support Sensormatic EAS systems with good read acknowledgement via the auxiliary RS-232 port. Optional Value Added Features provide optional information tools that help decrease front-end costs by managing information on scanner software and diagnostics.